Students wishing to change their major to Anthropology must complete the Program Change on-line request form, which can be access from the Registrar's Office website. The Registrar's Office processes this request. Students who have successfully completed all of the requirements from the program checklist and are applying to graduate must submit an Application to Graduate with an Undergraduate Degree Form to the Registrar's Office. This Form can be downloaded from the Registrar's Office website. The Application Deadlines for the June Convocation is January 31 and for the October Convocation is July 31. Letter of Permission - Anthropology Courses taken outside of the Department for Anthropology credits. Students who wish to take courses at other universities for credits toward their Anthropology degree must submit a Letter of Permission Form to the Chair of the Anthropology Department (2054 Vari Hall). This Form can be downloaded from the Registar's Office website. In addition to the Letter of Permission Form, students must provide a copy of a detailed course description (downloaded from the host university website is acceptable), outlining the duration of the course (hours, length of time, start and end date), year level and credit value. All of this information must be provided to the Chair before any decision can be made as to whether anthropology credit can be given for that course. Once the Chair has reviewed this request and signed the form, the student then submits the form to the Registrar's Office for processing. NOTE: NO CORE COURSES CAN BE TAKEN OUTSIDE THE DEPARTMENT OF ANTHROPOLOGY. A minimum of 30 course credits and at least half (50%) of the course credits required in each undergraduate degree program major/minor must be taken at York University. The Anthropology Department does not post or release grades to students. Final grade reports are accessed through the Registrar's Office website. The Registrar's Office normally releases fall term course grades in January; and fall/winter and winter term course grades in May. Summer grades are normally released in August. Grades of E and F are failures and will be included in the calculation of grade point averages. A request for reappraisal must be made within 21 business days of the release of Final Grade Reports on the Registrar's Office website. The Department of Anthropology LAPS Grade Reappraisal Form may be obtained from 2054 Vari Hall. Students must complete this form and attach a concise, typewritten statement, preferably no more than two pages, to state the supporting argument for the reappraisal. Students may question the marking of specific pieces of work, or the overall course grade. Only written work can be reassessed. The submitted work will be reviewed by the department Chair and one Reappraiser appointed by the Chair. Please note that your original grade may be maintained, raised OR lowered. The grade appeal decision will take approximately 6-8 weeks. Once a decision is made, you will be notified in writing. Students may further appeal a grade reappraisal decision, on procedural grounds only, to the Office of the Faculty Council of the Faculty of Liberal Arts & Professional Studies. Appeals must be submitted within 21 working days of the date of the department’s letter confirming the result of the grade reappraisal. The appeal must be submitted to LA&PS Petitions, 103 Central Square, 416-650-8193. Graduates with an Honours BA Degree in Anthropology with at least a B+ average in the last two years of study, or its equivalent, may be admitted to the MA program. For anyone interested in pursuing graduate studies, check out the Faculty of Graduate Studies and Social Anthropology Graduate Studies websites. Only students, who have at least an A- average in the last two full years of study, and who intend to undertake graduate studies in an Ontario University are eligible to apply. 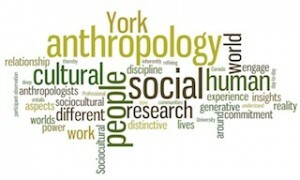 All York University students must submit their scholarship applications to the Anthropology Graduate Program Office, 2054 Vari Hall by the Program deadline date. Be sure to order your official transcripts and request references well in advance of this internal deadline. Each year, the Graduate Program Director and the Department Chair jointly offer a Scholarship Workshop for anyone among our majors thinking about applying for Scholarship and or applying to Graduate School. All students are assigned a York University e-mail address. However, since many students use an alternate address through a portal such as Hotmail, Yahoo, Excite, or a private ISP, you must update your e-mail address on the Registrars Office website. Please be sure to update your personal records, (ie. home address, telephone number, and email) on the Registar's Office Website. For any question regarding electronic communication, please direct relevant questions to Client Services, UIT, Voice: 416-736-5800, Email: askit@yorku.ca. At the end of the term, prior to the last two weeks of class, students can provide course feedback to the instructors by completing course evaluations. Students may complete a paper course evaluation or an on-line course evaluation. Faculty of Education, 128 Winters College, 416-736-5001.